The dedicated personnel of The Division of Public Safety (DPS) are responsible for enhancing the quality of life, safety and security of our community. The Division accomplishes its mission through the delivery of a comprehensive and integrated safety and security program, in partnership with the community that we serve. For more information on Public Safety, click here. 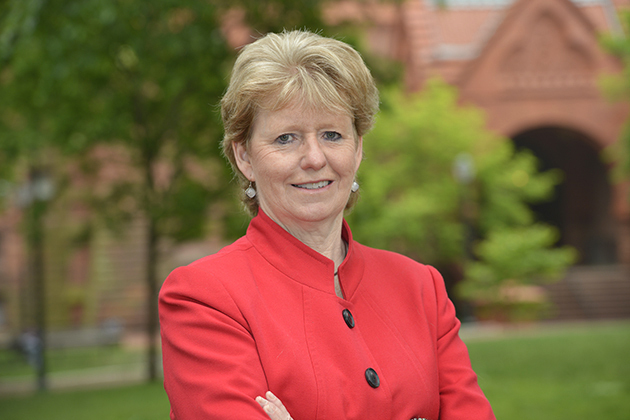 Maureen S. Rush, Vice President for Public Safety and Superintendent of Police, University of Pennsylvania, directs the tactical and strategic direction of the division, which encompasses seven departments that total more than 180 staff members. The departments include: Penn Police; PennComm & Emergency Communications; Fire and Emergency Services; Security Technology; Security Services; Special Services; and Finance & Administration. Prior to holding her current position, Ms. Rush served as the Chief of the Penn Police Department from 1996 through 2000, and the Director of Victim Support & Special Services from 1994 through 1996, both within the Division of Public Safety. Prior to coming to the University of Pennsylvania, Ms. Rush had a distinguished eighteen-year law enforcement career with the Philadelphia Police Department from 1976 through 1994. Ms. Rush served in various positions, namely: the Patrol Division, the Anti-Crime Unit, the Narcotics Unit, and the Training Bureau. In 1976, Ms. Rush was one of the first 100 women police officers hired to serve the City of Philadelphia on “street patrol” in a pilot program directed by the United States Department of Justice. Women now comprise twenty-five percent of the Philadelphia Police Department, with approximately 1,650 officers, as a result of that successful pilot program. Ms. Rush holds a M.S. degree from the University of Pennsylvania in Organizational Dynamics. She has also completed the John F. Kennedy School of Government, the Northwestern School of Staff & Command and the FBI’s Law Enforcement Executive Development Program. In 2004, Ms. Rush completed a year-long program with Philadelphia Leadership, Inc. a regional leadership think tank and during the same year, earned a Certified Protection Professional (CPP) certification from the American Society for Industrial Security (ASIS) International Professional Certification Board. In 2009 Ms. Rush completed a Security Executive certification program sponsored by the University of Pennsylvania’s Wharton School and the American Society for Industrial Security (ASIS). Ms. Rush is a Fellow with the University of Pennsylvania’s Fox Leadership Program within the School of Arts and Sciences.